Beyond the ordinary! Offers performance and style! This high-tech microfiber garment pulls moisture from the skin to the exterior of the fabric. These riding tights have a 4-way stretch in a body contouring design. 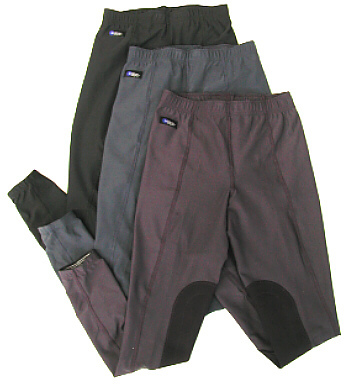 Chafe-free seams, Chamisoft knee patches and a no-roll waistband will keep you secure and comfortable. These lightweight tights are durable and abrasion resistant.